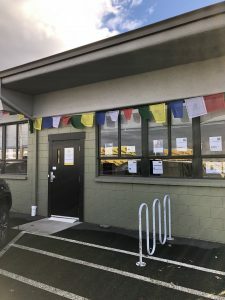 Open Sky is still 100% volunteer based. Unfortunately the expenses of operating a center are still in real dollars! Our income from current members dues is about $700 per month. As you can see, we need more money to support our efforts. Fortunately many kind and generous people have contributed to help some cash reserves. We are frugal group and will make the very most of your generous donations. 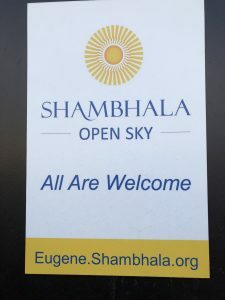 Shambhala Online charges for classes such as the In Everyday Life Series and Basic Goodness Series. Teacher honorarium for various programs. Heart gifts to local teachers. We try to recover these through program fees, but it doesn’t always happen.